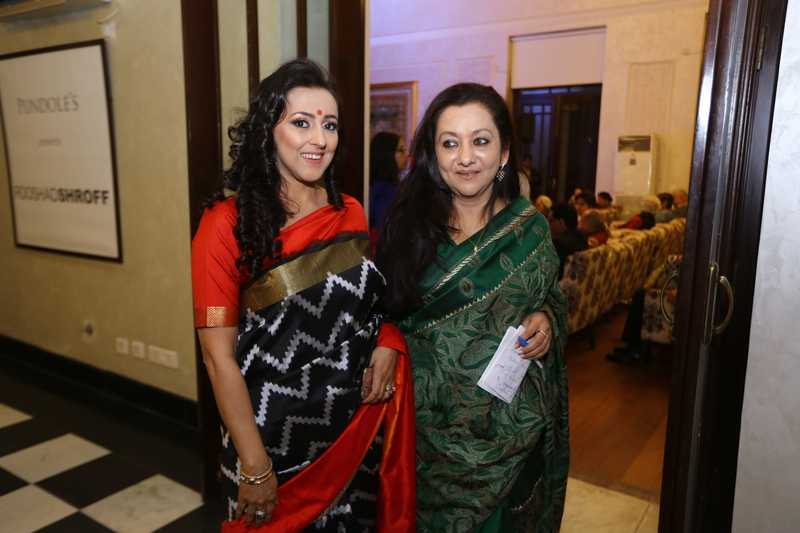 Westland Publications Ltd. & Sunayana Chibba hosted a beautiful evening to usher in a new book on the Kashmir Valley at the Bikaner house. Throbbimg with the mellifluous strains of santoor strings. Poetry past and present-soaked with nostalgia for a Valley that once was. Selina Sen’s Zoon , with a reading of Zoon’s poetry by Saabah S Sheikh, rendition of song by Abhay Rustom Sopori and Munir Ahmed Mir. On the panel discussing beauty and heartbreak, Muzaffar Ali, Pandit Bhajan Sopori and Selina Sen, moderated by Rahul Makin. It was well attended evening. Meera Ali, Sita Raina, Balbir Punj, Charu Parashar, Anuj Bahri, Kamini Singh, Natasha Chaudhari were present.